Your transmission is one of the most important parts of your car, if it goes into limp mode it doesn't matter how much power you're putting down or how good your engine cooling is, you're not going anywhere. Make sure it's staying cool with a beefy DCT cooler that is track tested and proven. Your transmission is your connection to the road. If it starts acting up it might take hours before you can get it out of limp mode. Not exactly ideal when you're on the track trying to beat your last lap time. 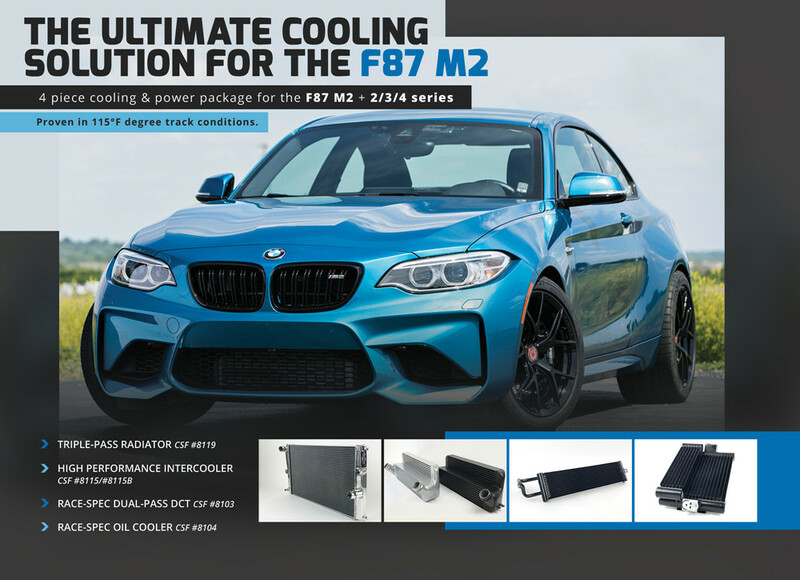 With the CSF DCT cooler you are getting a track tested product that has been proven to keep your transmission cool in up to 115°F track conditions. The dual-pass 12 tube design of this DCT cooler is lab tested and was found to be approximately 40% more efficient than the oem unit thanks to greater flow and more exposure to radiating surface area. CSF's multi-louvered high density fins also ensure that you are getting maximum airflow and surface area coverage. 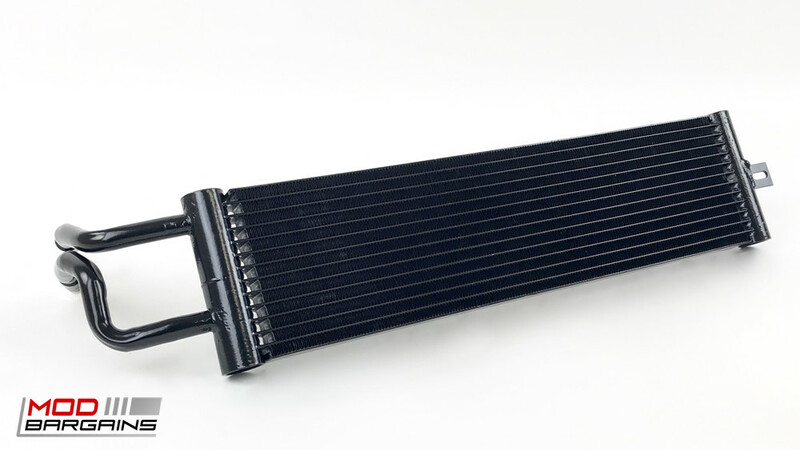 To top it off CSF has designed the cooler to be completely plug-and-play, no modifications are requred for install and it utilizes OEM connections and brackets. It really is the way to go to keep limp mode from taking you out of your next session.